A lot of business gets done outside of the office — over lunch, on the golf course, etc. The tax law allows deductions for business meal and entertainment expenses only if specific requirements are met. 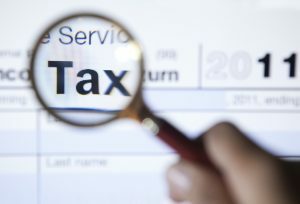 Even then, deductions are generally limited to 50% of the cost. Meal and entertainment expenses can qualify for the 50% tax deduction if they are directly related to business. Example: You have a dinner meeting with your customer to discuss the schedule for a new project. 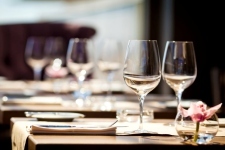 Because the purpose of the meeting is to talk about the project — a revenue generating activity for your firm — the meal is directly related to your business. What if you don’t “talk business” while you are entertaining a customer, client, or prospect? The expense may still qualify for a deduction if a substantial, bona fide business discussion takes place before or after (on the same day as) the meal or entertainment activity. Example: You and your client meet at your office to discuss a business matter. Afterward, you treat the client to lunch and a ball game. In this case, 50% of your expenses are potentially deductible because they are associated with the active conduct of your business. To support your deduction, you should have records of the time, place, and business purpose of the activity; who attended and their business relationship; and the amount spent. Taxpayers must meet various requirements to qualify for these deductions. Connect with us, right now, for additional tax advice and business planning.